When you’re giving a presentation, the message itself matters the most. But the way you present that information and the way you present yourself is important, too. Take the example with Matt Taylor, a British physicist who recently presented a massive scientific outbreak via live stream. He was wearing the wrong shirt, and that made people ignore the message itself. Everything matters. You invest tons of work in such projects, so the only thing left is to polish out your presentation skills. The attendees expect great things from this presentation since they are giving you their time and focus. That’s why the opening matters so much. Start with a thought-provoking statement, anecdote, or even an appropriate joke. The closing should emphasize the main message and give the audience something to think about. Wrap up the presentation by asking some questions to engage them in the conversation. It’s great to be spontaneous in front of the audience, but it’s not okay to get stuck. That’s why you have to practice the presentation before the big day. Get in front of the mirror and rehearse! Pay attention to the way you pronounce the words, your body language, and the overall flow of your performance. The more you practice, the better you’ll get. That’s a rule! It’s important to get used to the space before you get in front of the audience. Practice your presentation there and plan how you’ll take that stage. How will you make eye contact with the audience? Is the lighting okay? Is the sound okay? Is your computer good to go? Arrive early and make sure everything is in perfect order so the setting won’t cause any distractions. If you’re convinced that the presentation will be terrible, you undermine your own chances for success. You have to envision a positive outcome. Believe in yourself! Self-confidence is the foundation for a good presentation. Close your eyes and imagine giving the perfect presentation. Envision yourself going through the process without error. This should be your regular exercise for at least two weeks before the big day. Straighten up, but don’t be stiff! Your posture conveys your self-confidence. Show your strong character through a confident posture and calm body language. Practice this in front of the mirror! Remember: you can do it! Presentations are a stressful aspect of higher education, but you already came this far. You’re good enough and you’ll prove your worth through a great presentation! 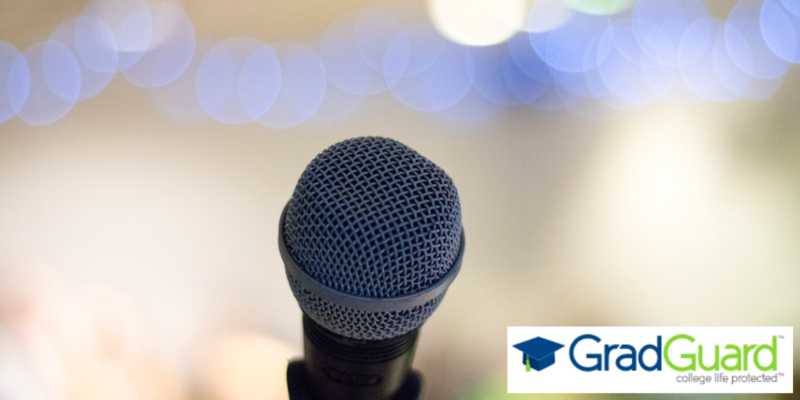 And of course, when you are done with your presentation, don’t forget to protect your investment in higher education with GradGuard! 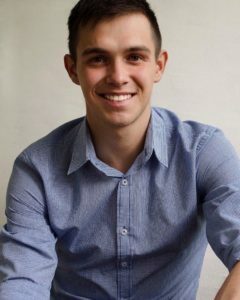 Brandon Stanley is fond of writing and everything connected with marketing, SEO, and human resources. He writes on different topics related to the writer’s skills and techniques. He really loves playing the piano and collecting unique books. He is also a contributor to RushMyEssay. Meet him on Facebook and LinkedIn.